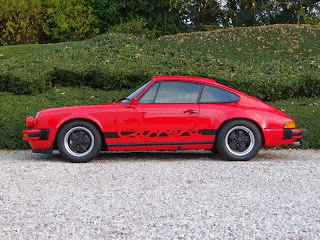 Updated 12/25/2013: The COA has been posted below which indicates exactly which options were originally delivered vs the options now fitted to the Carrera. Posted 12/24/2013: This Grand-Prix White Carrera has an excellent presence in a black & white color combination that extends to all aspects of the 911. 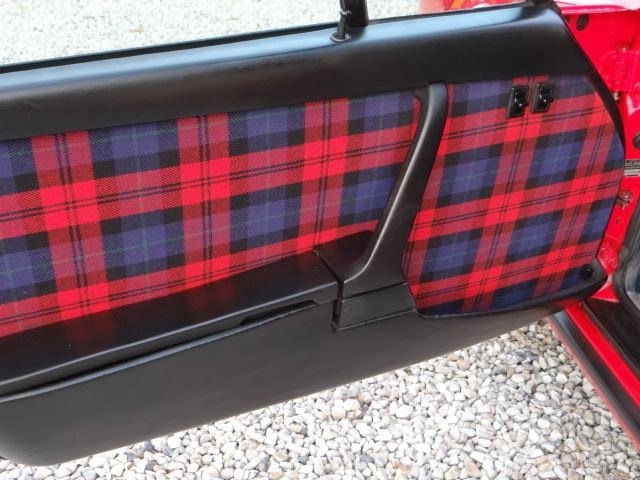 The interior was completely restored at some point and looks great with tweed seat inlays. 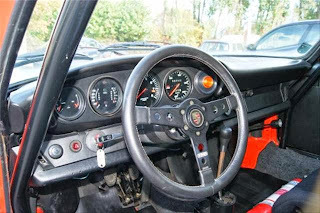 A few changes from original include what appears to be a later offset Sport 3-spoke steering wheel instead of original fat grip Sport wheel used in 1974 into 1975 model year. The original midnight blue carpet has been replaced with black. 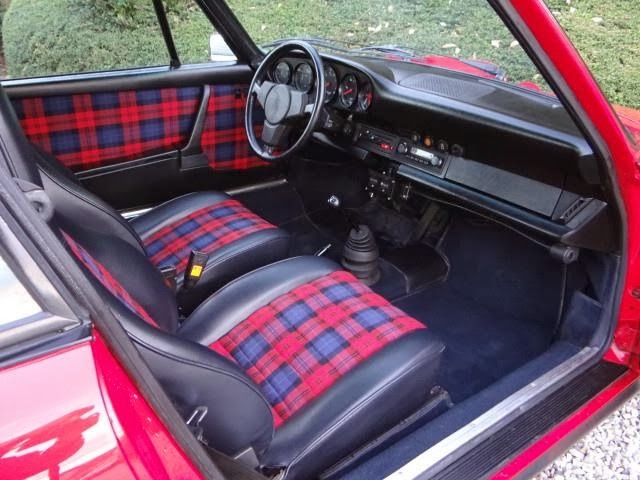 The dash looks great without any of the usual cracks near the grill. 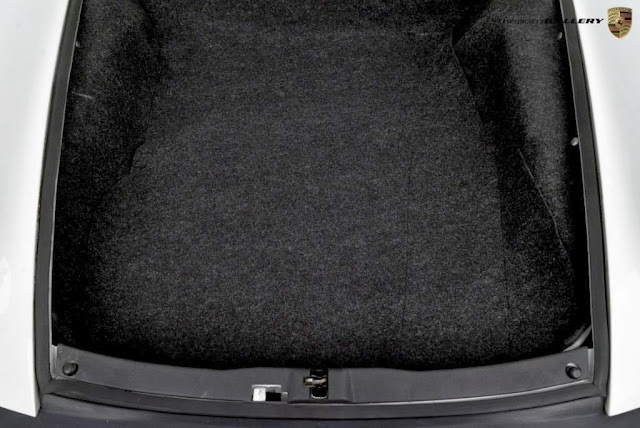 The front trunk carpet has been replaced with North American spec side carpet without the aluminum chassis tag hole, though this can easily be cut out. 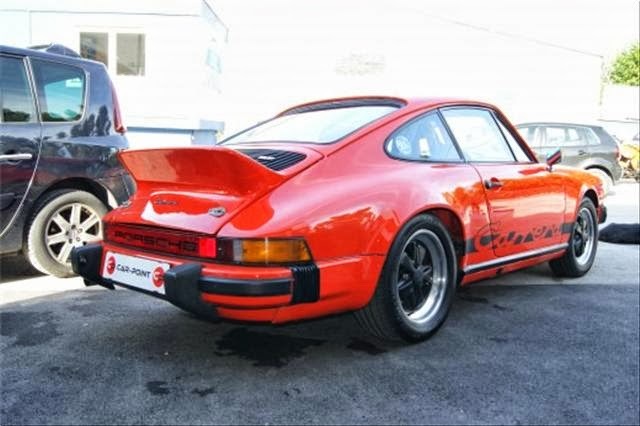 Seller mentions ducktail, but whaletail is currently fitted along with "PORSCHE" script along rear tail which wasn't available as an option after the 1973 model year. 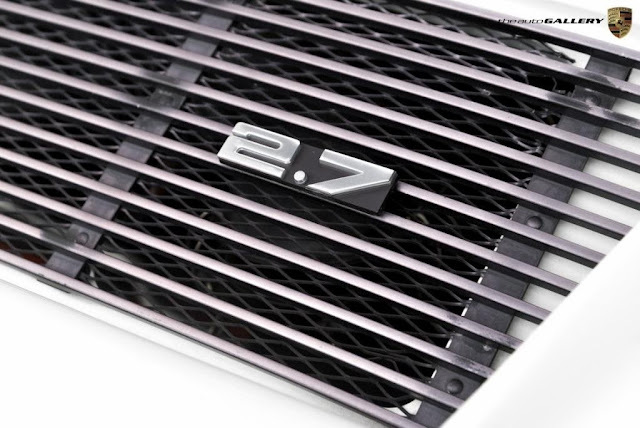 Correct early style metal engine grill. 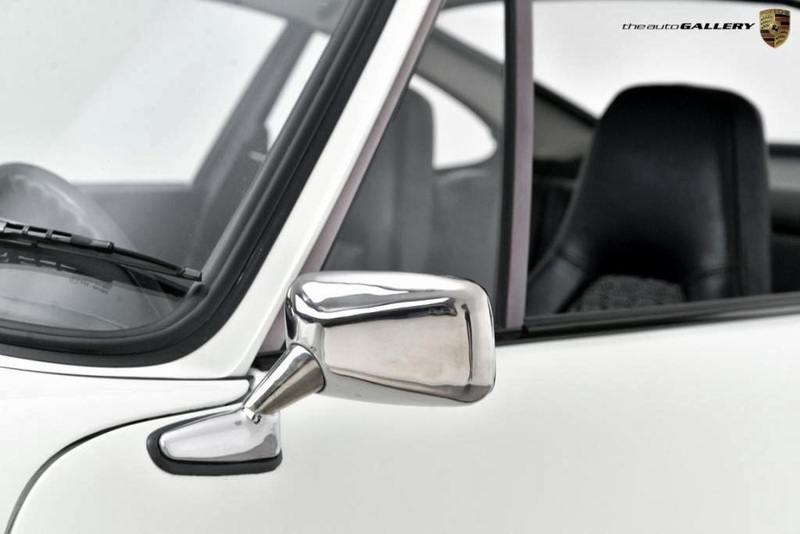 The early black trim optioned Carreras still came with chrome mirrors and headlight trim rings with a switchover to black mirrors occurring sometime during the 1974 model year. 55,298 km (approx. 34k miles) currently shown on the odometer, though the 5-digit odometers rollover at 100,000 km (approx. 62k miles) so mileage can only be verified via long paper trails. 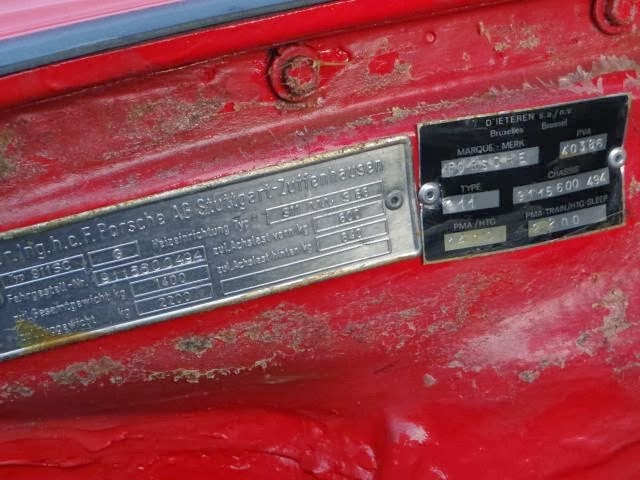 Engine missing several decals and has extra incorrect coil strap decal. Painted fan blade and housing looks out of place. 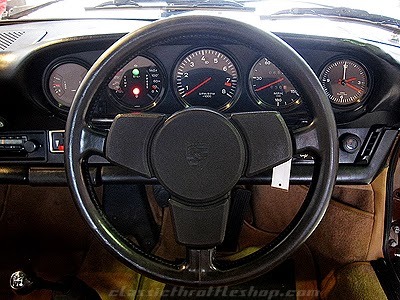 The original COA isn't posted to confirm original color, engine number, or whether options such as leather interior, Carrera script, and 7K and 8J Fuchs were original. 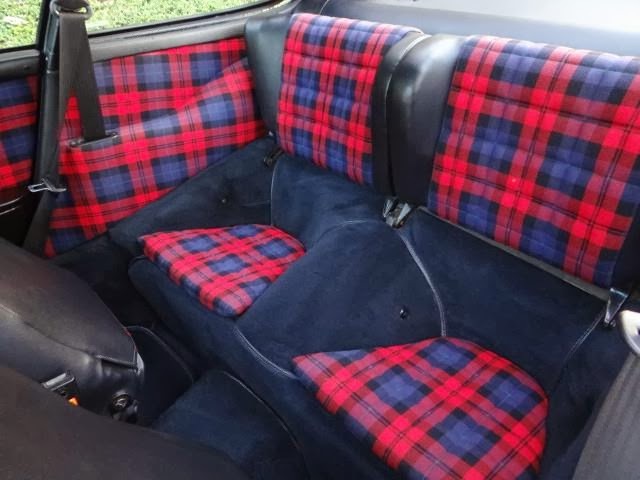 The seller's description doesn't entirely match the photos (e.g. 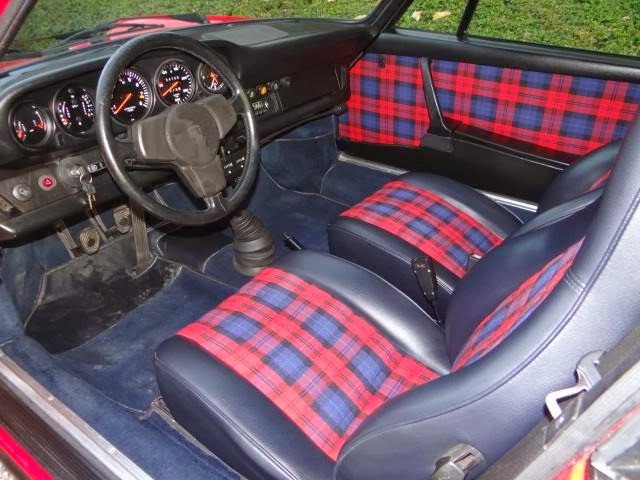 sunroof doesn't appear to be visible, fog lights aren't on the Carrera, etc) so some digging by potential buyers is required. This is a very nice looking Carrera MFI and one of the few currently available in the United States. Price is a bit optimistic, however with restored 1973 Carrera RS Touring trading hands at almost 3-times this Carrera's asking price these Carrera 2.7 MFI models with comparable spec and weight are still accessible. PENDING CERTIFICATE OF AUTHENTICITY- ULTRA RARE- NEVER IMPORTED INTO THE US- ONLY 1,026 MANUFACTURED- PORSCHE'S LAST STREET LEGAL MECHANICAL FUEL INJECTION VEHICLE- FACTORY INSTALLED 2.7 LITER RS MOTOR- IDENTICAL WEIGHT TO THE 73' RS TOURING CAR- G-SERIES BODY- DUCKTAIL- ALL RECEIPTS- The Auto Gallery is honored to present this superlative 1974 Porsche 911 Carrera ROW / MFI with 5-Speed Manual Transmission. 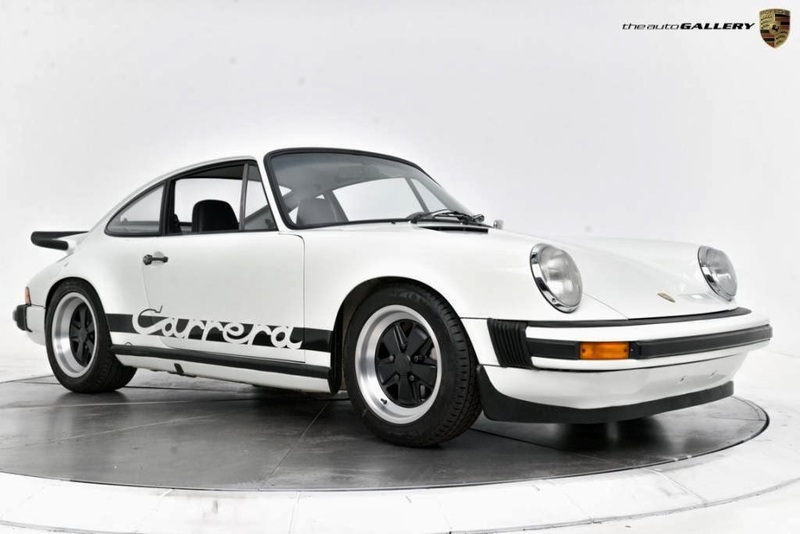 Finished in a White Exterior and a Black Leather Interior with Cloth Seating Inserts, this 911 Carrera is simply stunning! 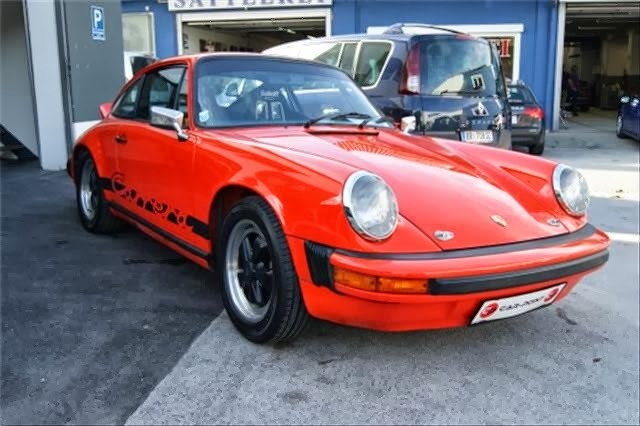 This Porsche has been very well maintained, recently serviced, and with only 55,284 miles, it is in immaculate condition! 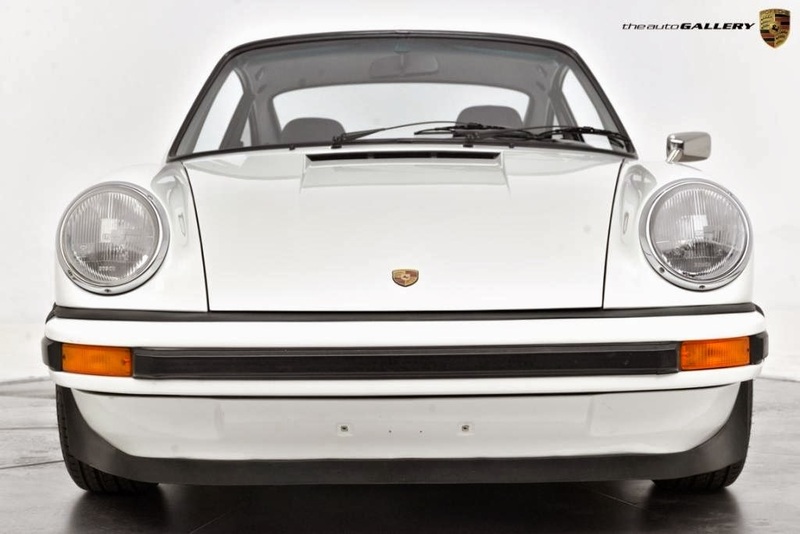 This 911 Carrera boasts an extensive list of equipment that includes, 2.7 LITER RS MOTOR, G-SERIES BODY, DUCKTAIL, Leather Interior, K45 Option Group, Bumpers w/ Impact Absorbers, Leather Sport Steering Wheel, Forged Light Metal Wheels, Sekuriflex Windshield, White Headliner, Sunroof, Fog Lights and much more! 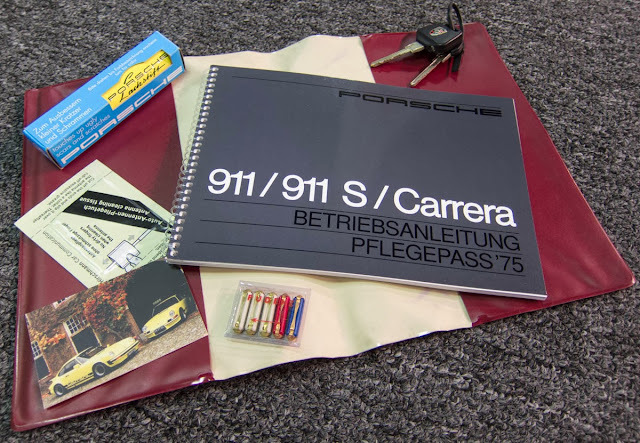 The 911 Carrera ROW / MFI (Euro Carrera 2.7) were manufactured for the European market following the end of legendary RS model. Due to strict US emission laws these vehicles were never imported. 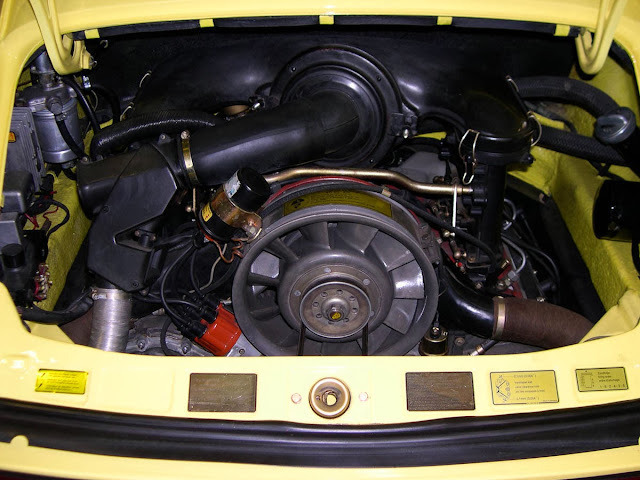 These cars came equipped with a factory installed 210 bhp 2.7 Liter motor straight out of the RS. 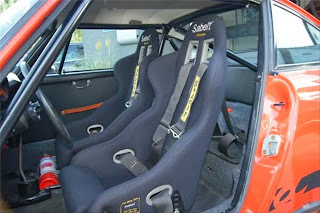 The major difference from the RS being the G-Series body as oppose to the long hood form. These Row / MFI vehicles were produced in similar numbers to the RS and carried the same weight as the RS Touring car. 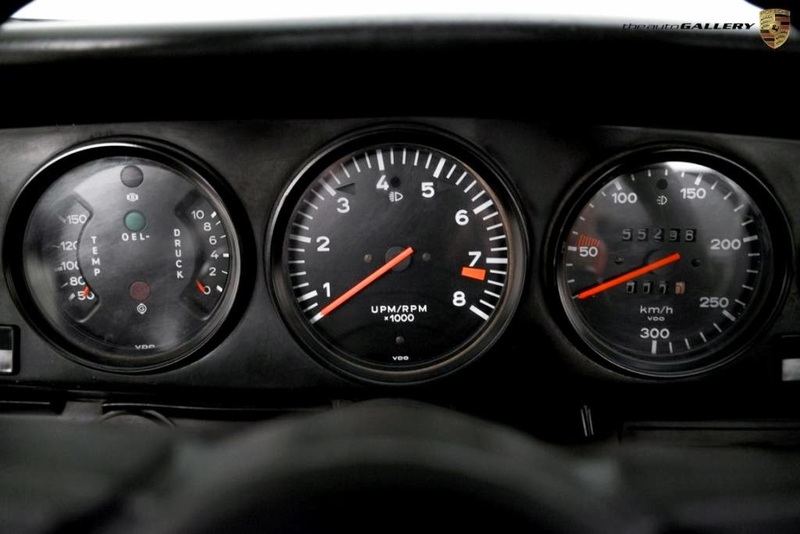 Car and Driver recorded a 0-60 mph in 5.5 seconds, during extensive testing. This particular car features a Factory Installed RS 2.7 Liter Engine with 37 more bhp than the US motor, a Lightweight 2,370 lb G-Series Body and Increased Downforce via the famous Ducktail Spoiler, making this a great buy. 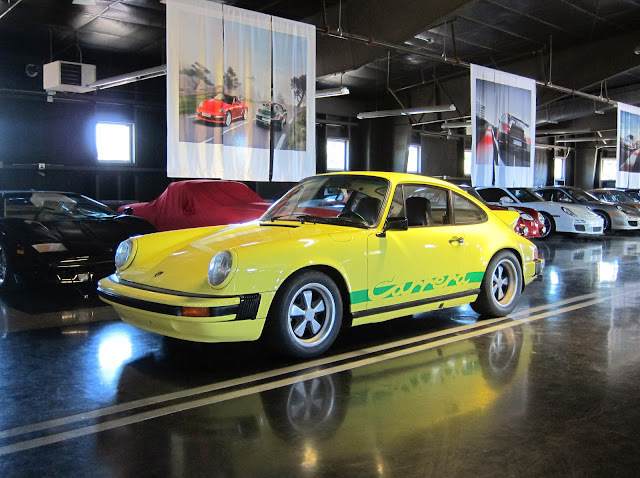 Take advantage of this opportunity as this beautiful 1974 Porsche 911 Carrera ROW / MFI is being offered at an incredible price and WILL BE SOLD SOON! Please don't hesitate to call or visit our showroom with any questions you may have. 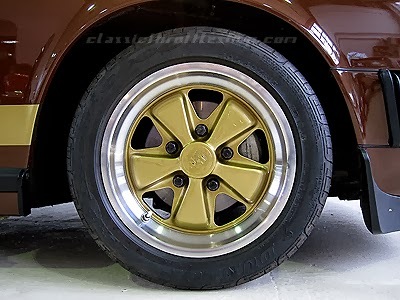 The '74-'76 Carrera 2.7 MFI were effectively built as a continuation of the '73 Carrera 2.7 RS Touring (M472) platform since Porsche replaced the '73 Carrera RS Sport (M471) by building 114 of the 3.0-liter Carrera RS/RSR models only in 1974. 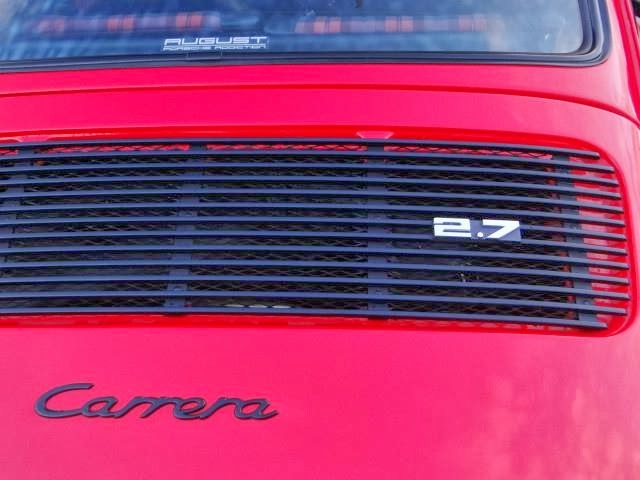 Unlike the G-series Carrera delivered to North America the rest-of-world Carrera 2.7 MFI continued to pack a serious punch with the RS-spec 911/83 mechanically fuel injected engine providing the driver with an extremely visceral experience behind the wheel. The added weight of the impact bumpers and G-series interior refresh ultimately was offset with lighter weight engineering improvements such as the aluminum banana arms instead of the previous heavy steel versions. 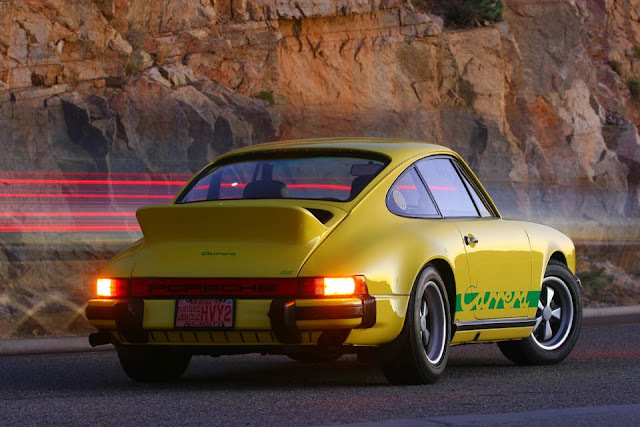 This meant the Carrera 2.7 weighed the same 2,370 lbs (1,075 kg) as the outgoing '73 RS Touring model. 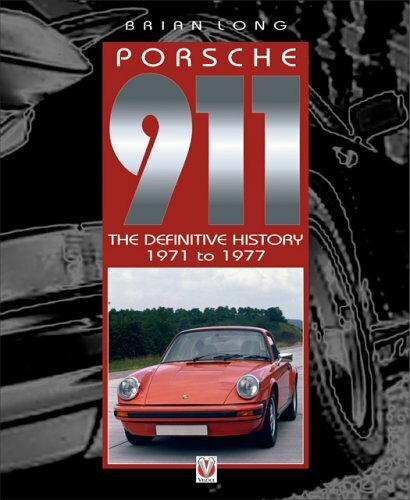 Starting in the 1976 Porsche's desire to create 911 models that were attractive to the masses meant inclusion of ever more luxurious and heavier options as standard. Ultimately this extra weight meant after production of the Carrera 2.7 MFI ceased in 1976 there wasn't a faster normally aspirated street 911 offered until the European spec 1988 Club Sport (CS) arrived on the scene. 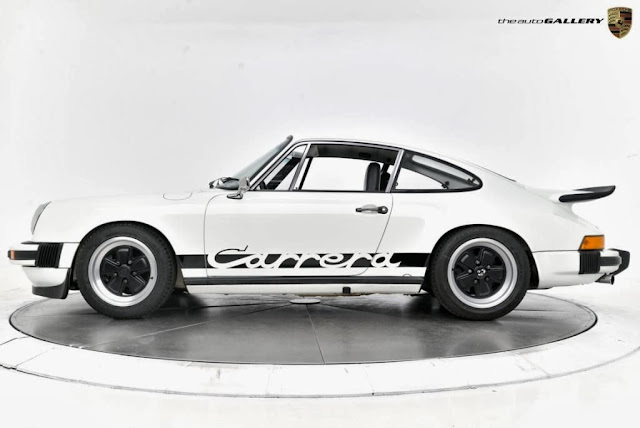 The Carrera on offer – chassis no. 911 560 0179 – was the 169th produced of 508 rest-of-world Carrera 2.7 MFI coupes delivered from the factory in 1975. Invoiced October 1974 by Glöckler in Frankfurt, Germany this Carrera was originally optioned as a true driver's 911. 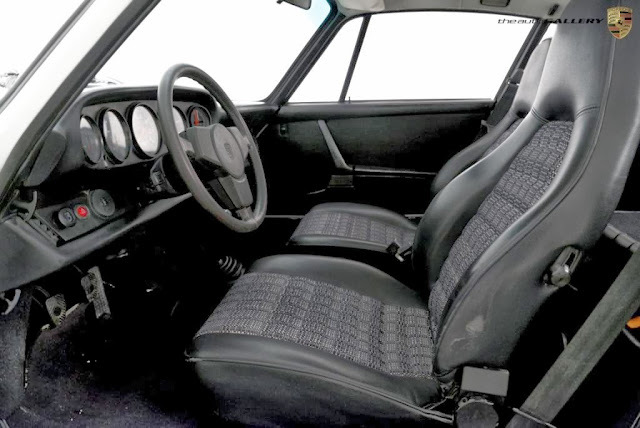 Factory options include black leatherette, Twill/Shetland Sport seats, extended hub Sport steering wheel, front spoiler and whaletail, Carrera side script, impact absorbing bumper shocks, and intermittent wipers. 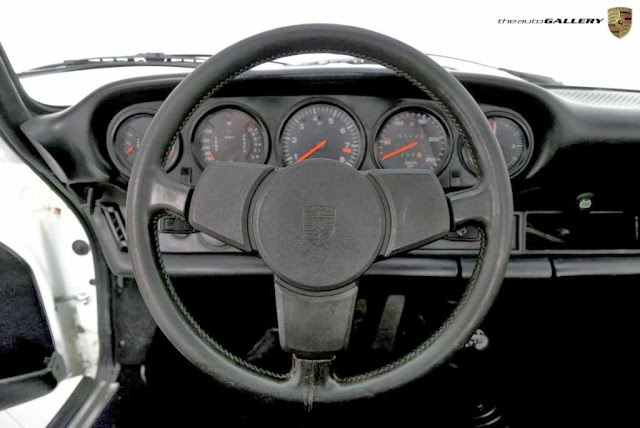 Over 2” of detailed service documentation exists since the mid-1990s while the Carrera was still in the Netherlands. The engine was replaced with a correct type 911/83 engine and rebuilt in 1998 by Autobedrijf Motron with Dilivar studs, upgraded tensioners, and other standard improvements. 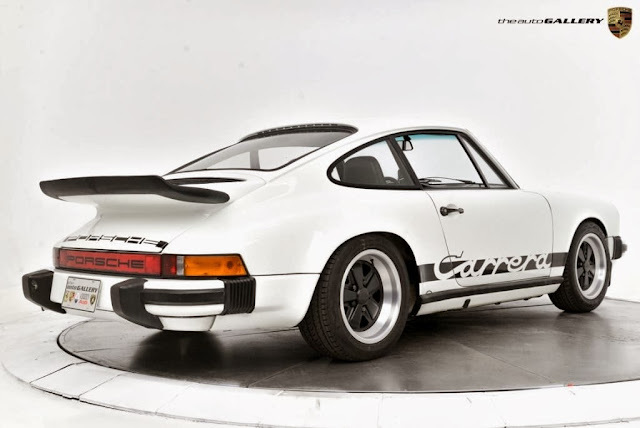 After being subsequently imported into the United States in 2002 the Carrera underwent a complete three-year restoration by its then California owner. 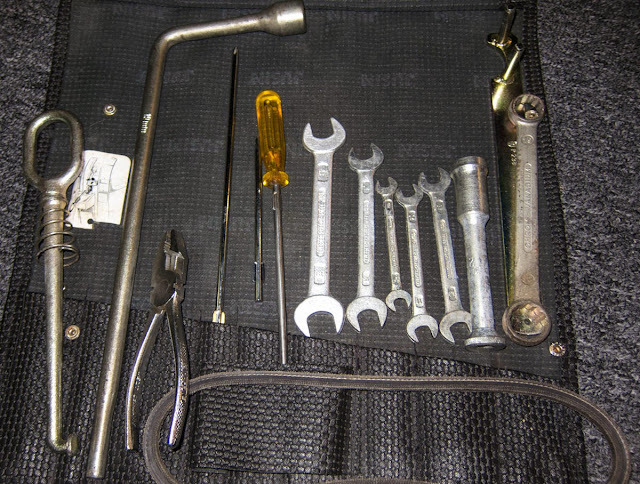 Completely disassembled and repainted the original Light Yellow (B6 / 117) in December 2005, the paint still holds up extremely well after eight years and approximately 7500 miles. 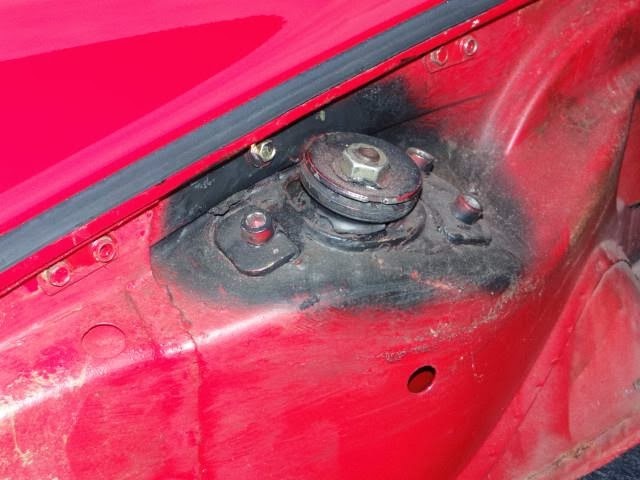 Mechanical refurbishment at this time include rebuilt gearbox, new synchros, new clutch, new brakes, oil lines, along with a large list of nuts, brackets, trim pieces, bolts, seals, windshield, etc. that were replaced during this restoration. 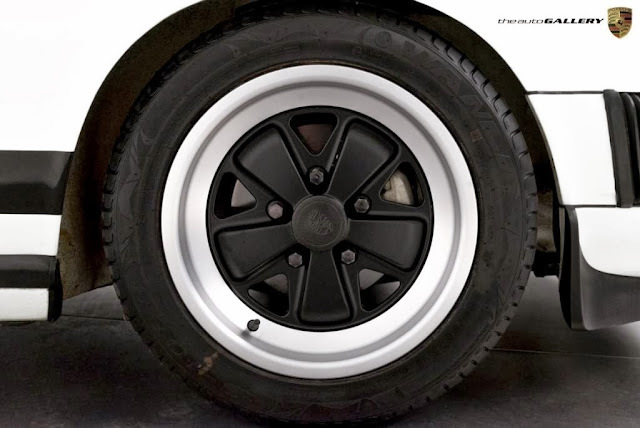 All the visual R Gruppe style improvements are easily reversible including dual-out muffler modification, rear valence lightened and modified for dual out muffler, lightweight carpets, RS door panels, later velour style Sport seats inlay, rally mud flaps, green Carrera script, and rear adjustable spring plates. 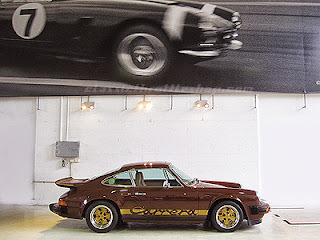 The end result was a visually stunning Carrera which was featured as the cover car in Hemmings Sports & Exotic Car #50 (October 1, 2009) along with a full length feature article. 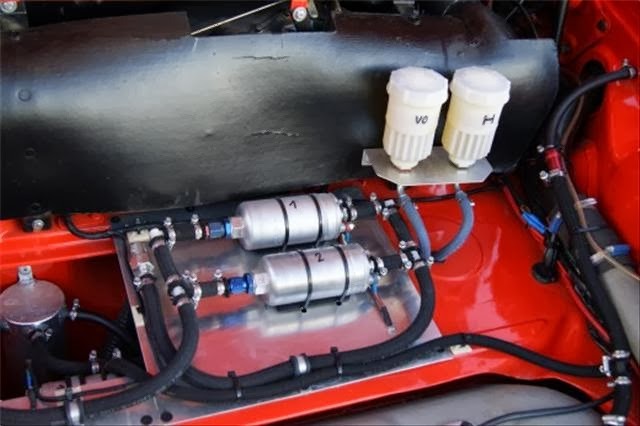 In 2007 a new owner proceeded with an engine rebuild by Chuck Croteau of Redline Service in Tucson, AZ where the engine was transformed into an even more serious 2.8-liter RS-spec engine built to run on premium gas. 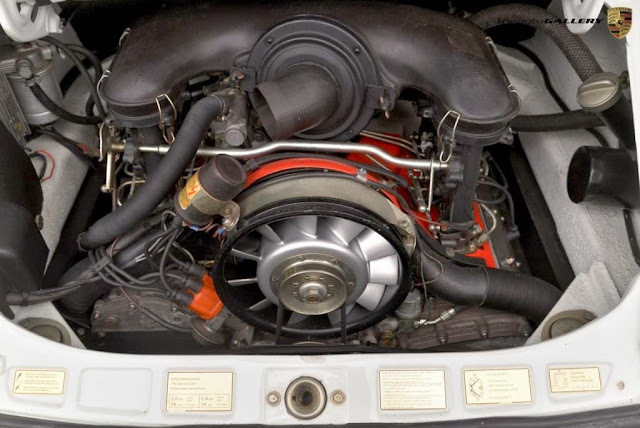 This second engine rebuild included all of Redline's standard fair such as new intake/exhaust valves, new valve guides, Web Cam reground camshaft, new timing chain, and Carrera tensioners. With only approximately 12,000 km (7500 miles) since the engine rebuild this is one of the best handling and visceral 911s you can get behind the wheel of. 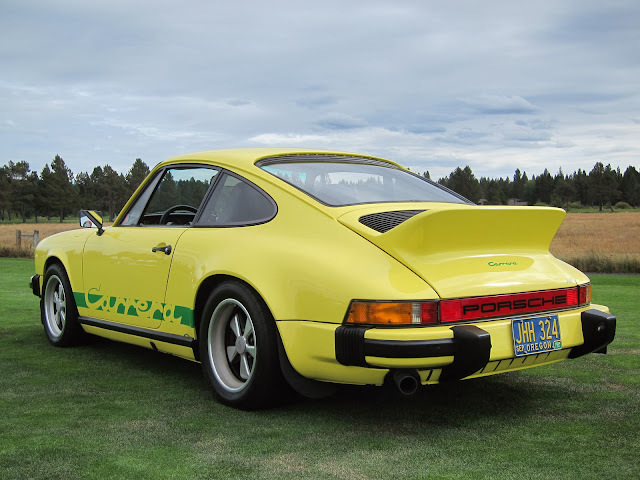 Additionally, this exciting '75 Carrera 2.7 MFI comes with the original single-grill whaletail, fiberglass ducktail (fitted), and plain decklid all painted to match. 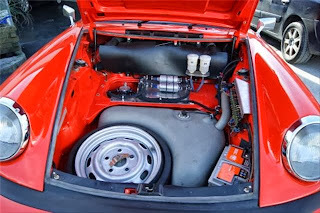 Fitted with clear anodized 7J and 8J x 15 Fuchs along with new Toyo RA1 tires mounted 1,500 km (900 miles) ago in mid-2011. The often missing original warm up regulator is still attached to the MFI airbox and new MFI fuel pump recently replaced.. Also included is the correct 1975 German owner's manual and red vinyl pouch, complete tool roll with all the correct tools and jack, as well as the electric air compressor. 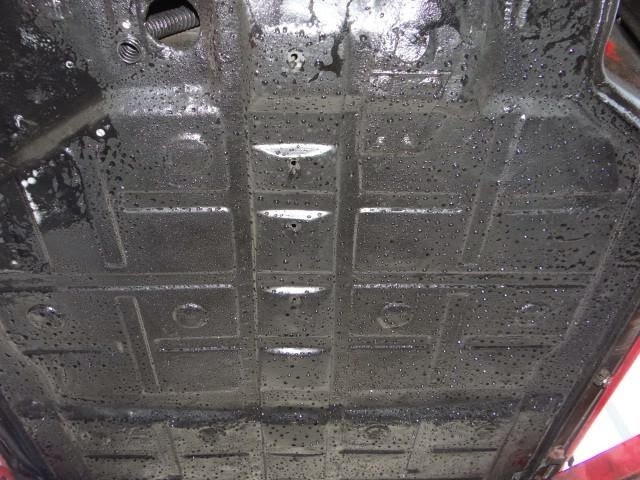 Known issues include typical minor cracking of the dashboard near the speaker; a minor discoloration on the front driver's side corner of the hood; and driver seat edge trim waviness due to sun exposure. 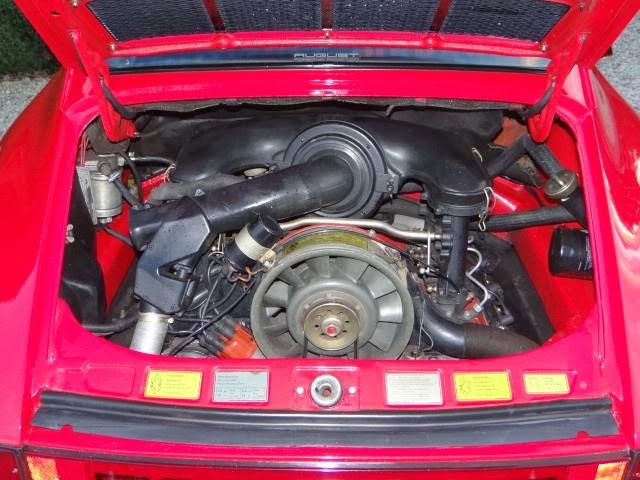 Ultimately this Carrera MFI 2.7 is extremely well sorted cosmetically and mechanically. 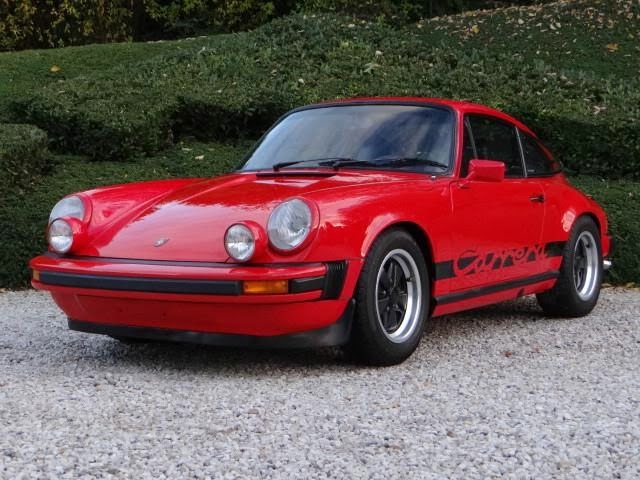 This '75 Carrera MFI 2.7 is immediately available for a new owner to carve up the road in one of the most fun and exciting street 911s ever produced. * Note: Click on the photos above to view higher resolution versions. Update 10/24/2012: A reader who inspected the car recently noted that this Carrera has a replacement engine. Das Nachfolgemodell des legendären Porsche 911 RS in dieses G- Modell wurde die komplette Technik des RS werkseitig verbaut. 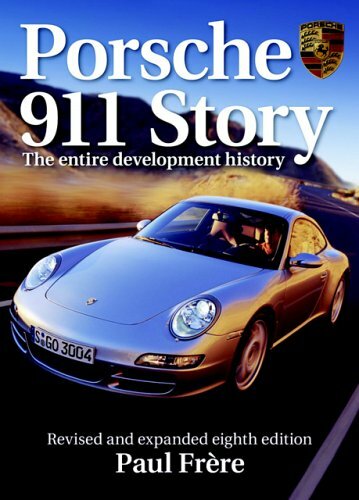 2006 wurde dieser 911 von einem bekannten italienischen Porsche Tuner zu einem Rallyauto umgebaut ! 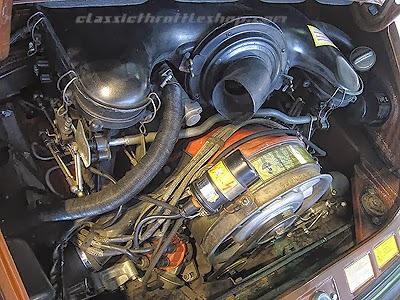 Motor und Getriebe wurden 2011 von der renommierten und auf Oldtimer spezialisierten Classica generalüberholt und seither ca. 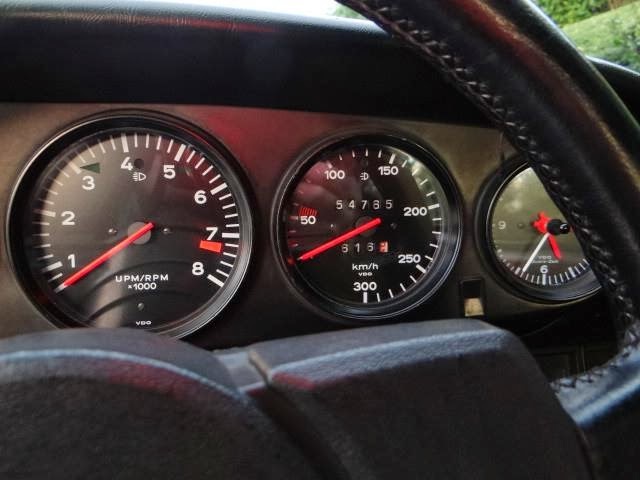 2.000 km gefahren ! 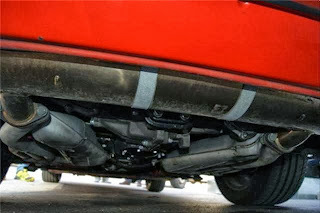 Sportfahrwerk, Waagebalkenbremsen, Sportbremsen, Schaltwegverkürzung, Überrollbügel, Sportsitze, uvm. The successor of the legendary Porsche 911 RS in this G model was built all the technology of RS factory. 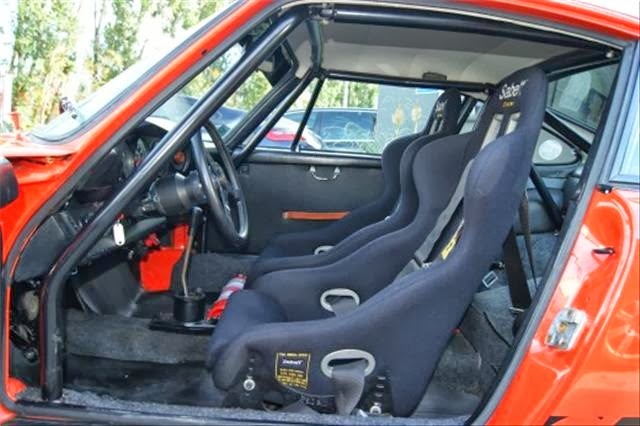 2006, this 911 from a well known Italian Porsche tuner was converted to a rally car! 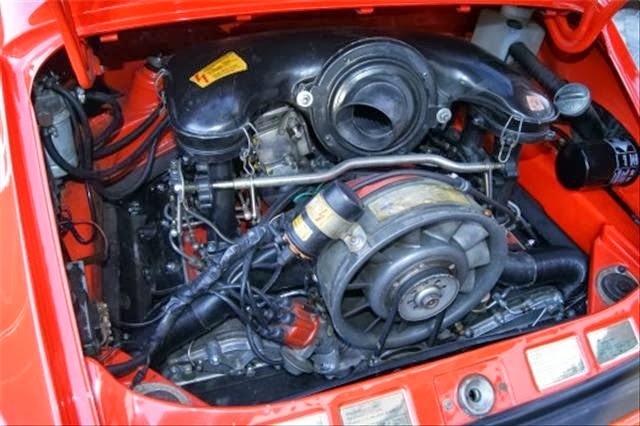 Engine and gearbox were overhauled in 2011 by the renowned and specialized on Vintage Classica and since then driven about 2000 km! 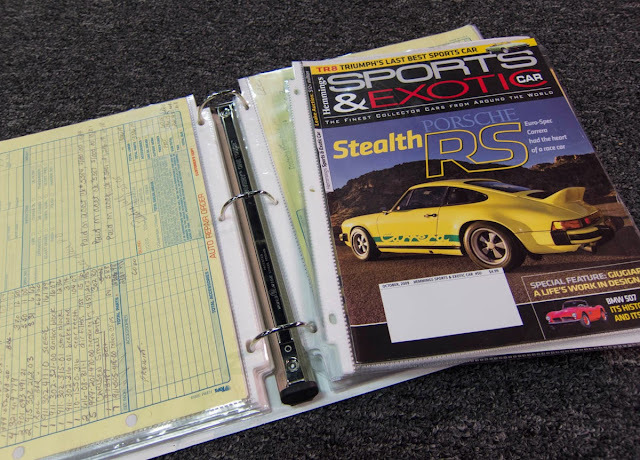 Sports suspension, balance beam brakes, sport brakes, shifter, roll cage, sport seats, and much more. 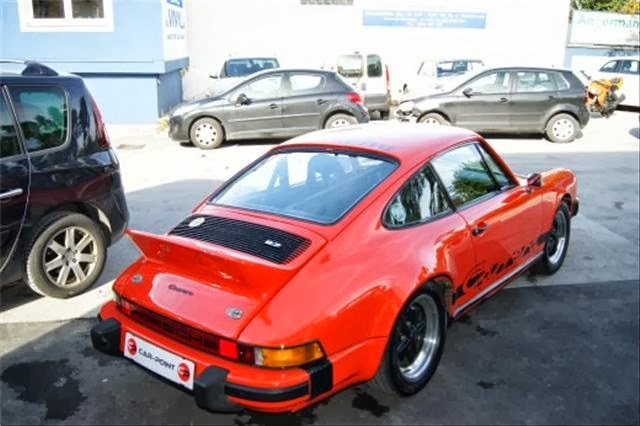 Offered for €99,000 (approx. $137k USD). 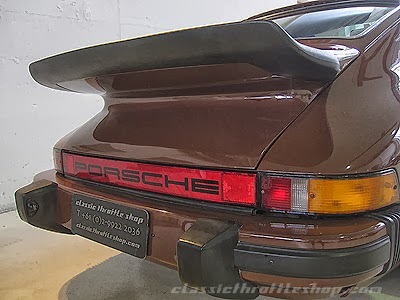 The '74 Bitter Chocolate RHD Carrera has been offered for sale again in Australia, with it last last on offer last Summer for slightly more. 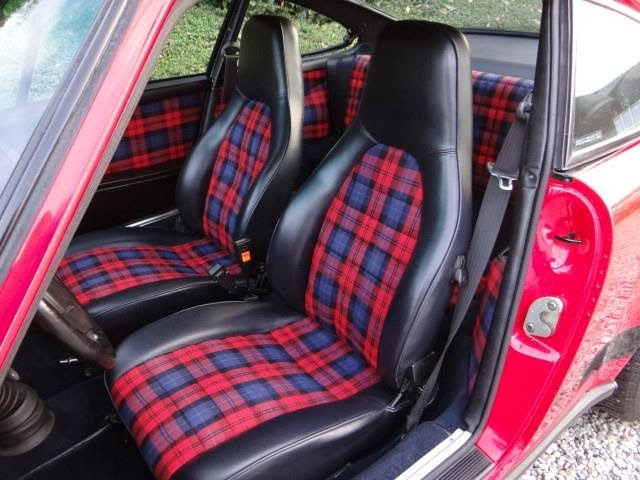 Read the previous description for more details as nothing has really changed about the condition and remains in modified trim. 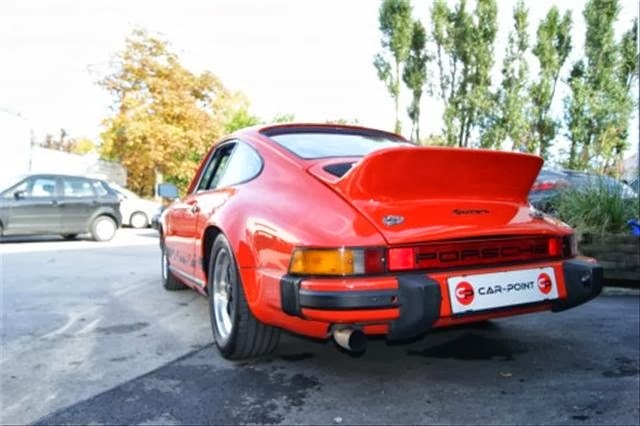 This superb example of the iconic Porsche 911 Carrera is a genuine right hand drive matching numbers car. 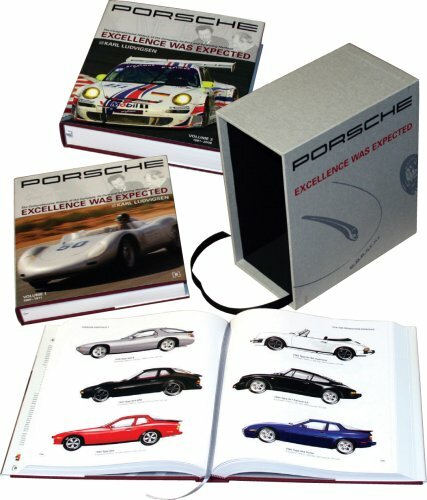 It is accompanied with a large file of receipts and a certificate of authenticity. 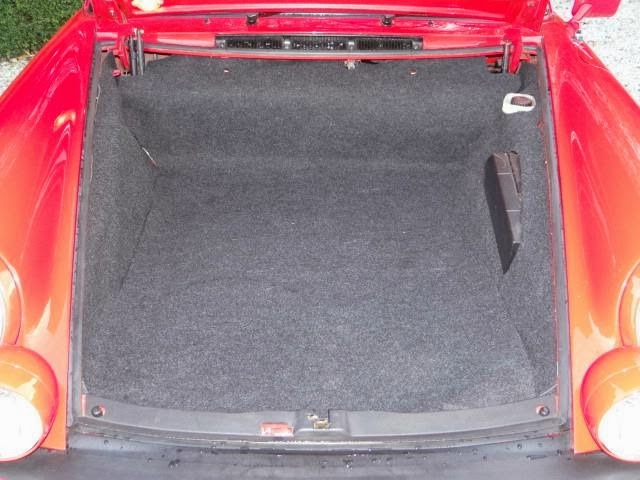 Delivered new in England the car has had just four owners and previous to the current owner it was owned for 25 years. 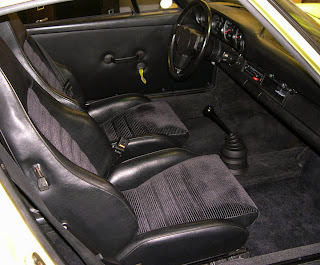 In that period the car had a full respray and new interior trim. 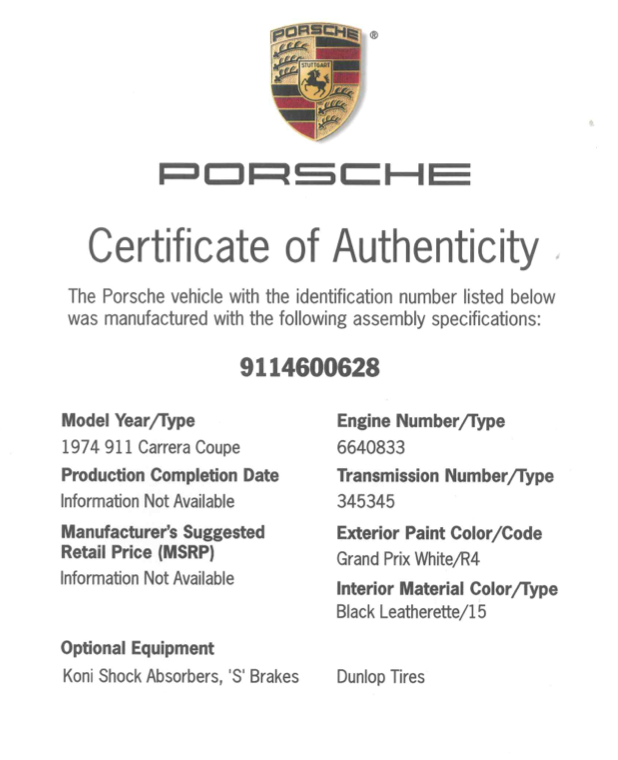 Purchased in 2012 and imported to Australia the car is now maintained locally by Porsche specialists. 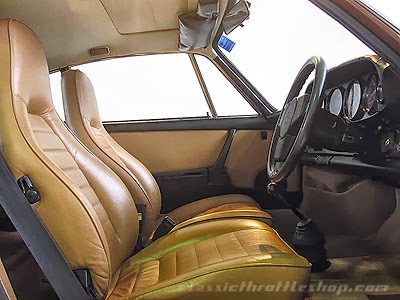 It has some cool options that give this car a very period look, the chrome surrounds on the headlights and windows really stand out against the Bitter Chocolate coachwork, factory coloured glass, Bilstein dampers and sliding roof. 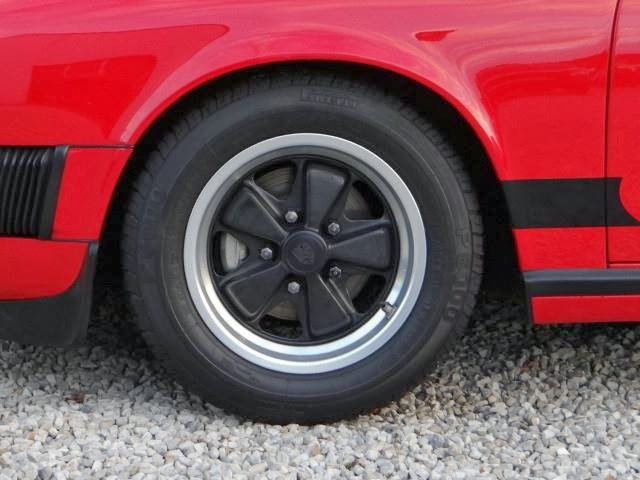 A lot of work has been done on this example to bring to a very high standard, the car drives extremely well with plenty of torque and smooth gear changes, the brakes a strong and the acceleration and steering precise. 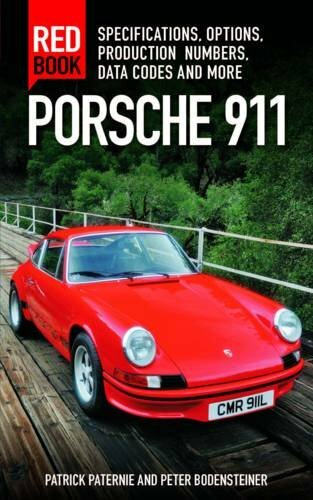 There are few cars that can boast the superb engineering attached to an early 911, the era when this model began the obsession for many enthusiasts for what is arguably the best looking 911 ever made. Offered for AUD $109,995 (approx. $105k USD).